By The Numbers - Since 2007 Global Glimpse has served over 4600 students. Since 2007 Global Glimpse has served over 5,000 students and 500 educators across 70 high schools nationwide. In 2019, we will grow to serve 1,100 students across 80 high schools and provide another $2.5 million in need-based scholarships to ensure our program is accessible to students from all socioeconomic backgrounds. Our survey results below illustrate that Global Glimpse has a deep impact on the lives of our participants, educators, families, and community members. Global Glimpse has an incredibly positive effect on students’ educational goals and their sense of responsibility to their communities. said Global Glimpse was one of the most powerful experiences they had in high school, and would recommend the Global Glimpse program to their peers. 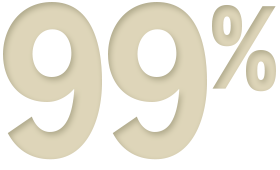 Over 96% of Global Glimpse alumni are accepted and enrolled in college. 80% of our alumni write their college essays about Global Glimpse. Through Global Glimpse I learned to better set and achieve goals. Because of the Global Glimpse experience I have a more positive attitude about myself. Through Global Glimpse I gained confidence to take risks and step out of my comfort zone. Because of Global Glimpse, I feel like I have a wider range of options after high school. Since I participated in Global Glimpse, I have been more dedicated to my own education. Participating in Global Glimpse motivated me to set higher academic and personal goals for myself. said because of Global Glimpse they believe they have more of a responsibility to make the world a better place. 95% said they are more aware of and concerned about global issues as a result of the Global Glimpse program. 95% said Global Glimpse helped them learn how to organize a community service project with others. 79% have become involved with new community organizations or deepened their work with organizations they had worked with in the past as a result of Global Glimpse. I am more aware of and concerned about global issues as a result of the Global Glimpse program. Global Glimpse has contributed to my feeling that I can make a difference in my local community. Global Glimpse has contributed to their feeling that I can make a difference in the world. of alumni said they have a clearer understanding of global interdependencies because of Global Glimpse. 97% are more interested in what is going on in other countries and that the experience helped them empathize with people from different cultures and backgrounds. saw a positive change in their son/daughter after the Global Glimpse program. rate their son’s/daughter’s experience in the Global Glimpse program as very good or excellent. of Global Glimpse alumni families would recommend the Global Glimpse program to others. Global Glimpse Leaders are high school educators who lead the Global Glimpse program in our partner high schools. Educators are 100% volunteer and we have worked with over 500 educators since 2007.
would recommend the Global Glimpse program to other educators. see significant personal growth in their students as a result of the Global Glimpse program. Data for this report was collected from 2012 student applications and a 45 question self-administered Program Impact Survey fielded online April 8 – April 17, 2013. The survey was sent to 900 student alumni of the 2008-2012 programs; 311 (34%) responded, which is an extremely high response rate for a self-administered survey. Responses were evenly distributed across 2008-2012 participants. Over 200 students filled out the open response (“essay”) questions, demonstrating their willingness to dedicate time to Global Glimpse. The parent/guardian survey was sent to 330 parents/guardians of students who participated in the 2012 program; 65 (20%) responded. The educator survey was sent to 100 educators from the 2008-2012 programs and 47 (47%) responded.